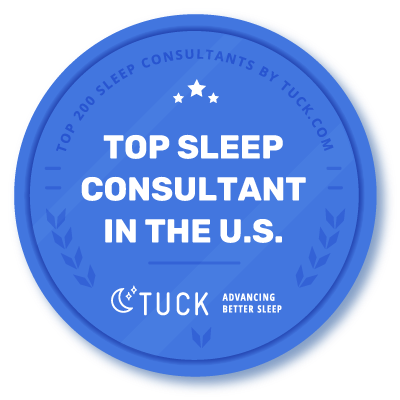 Recognized as one of the top sleep consultants in the U.S.
You’re not sure where to start when it comes to getting your child to sleep through the night. You’ve read books, searched the internet in the middle of the night for ideas and tried every piece of advice well-meaning friends, family and Facebook groups can offer. Every night has turned in to a mix of frustration and exhaustion. Staying awake during the day is tough. You wonder if it’s always going to be like this...always tired and never knowing how the baby will sleep tonight. I used to wish for 8 hours of sleep at night, hoping my baby would sleep longer so I could focus at work, have the energy to exercise and still have time to enjoy evenings with my husband. Now I’m a sleep consultant who works with exhausted parents who've tried everything to get their baby to sleep. I show them how to do it, in a way that works with their parenting style, so their whole family sleeps through the night. My daughter was like most babies. She slept most of the day and I thought maternity leave would be a great time to catch up on hobbies and experience being a stay-at-home mom for a few months before I went back to work. I knew babies slept, so why wouldn’t they just sleep when they wanted to? I had friends with babies and they all raved about how well they slept at night. I stood by silently wondering why my baby wasn’t sleeping so well. Everyone, including friends, family and even the lady at the park, gave me advice about how to get her sleeping longer. Some ideas I tried, others I didn’t feel comfortable trying and some outright scared me. It’s 2:00 in the morning and my cute little daughter is screaming at the top of her lungs and has been for what seems like forever. I have changed her, fed her, rocked her, walked back and forth across our house at least 10 times, and she still won’t go back to sleep. She’d only been asleep an hour and a half and I’d barely had enough time to take care of house chores and crawl into bed myself. I knew I had an early meeting at work that I wouldn’t be ready for if I didn’t get at least a few hours of sleep that night. On average, I usually got between three to four hours each night. Tonight was no different. After finally getting her back to sleep, I slowly transferred her to her crib and creeped my way out of the room, hoping she won’t wake up for a few hours. This had been the way things were for months and I was at my wits end. I worried that I would always have to be this tired. I knew something had to change and I needed to do something differently, because I couldn’t continue to function in my sleep deprived state. I sat on the couch and with tears streaming down my face, I googled “why won’t my baby sleep” and I got 5 million results. I instantly felt defeated and wondered how long I’d be able to keep up barely making it through the day. I was already drinking way too much coffee. I wasn’t going to the gym, something I’d always enjoyed, because I didn’t have the energy. I knew being a parent was tiring, but not like this. I simply didn’t know what to do next. The next day, after my meeting at work, I called a friend with a daughter the same age as mine. He’d told me before that she slept all night and I wanted to know how he’d done it. I told him everything. I told him that I was worried I was going to get fired because I was so tired. I was terrified that I would screw something up or worse, I’d get a bad performance report and hurt my chances for a promotion. He said that his daughter hadn’t always been a great sleeper, then he told me that he knew someone who could help me. 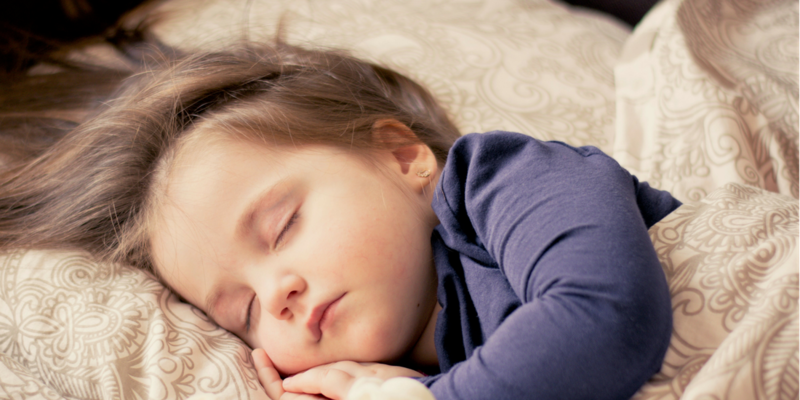 Someone who would work with me to determine the right schedule for naps and bedtime, who would teach me the skills I needed to teach my daughter how to fall asleep independently. I couldn’t wait to get started. I finally had a step-by-step plan that followed my parenting style, enabling my whole family to get the sleep we all desperately needed. For the first time since becoming a mom, I felt like my old self again, full of energy. I had the answers I needed to help my baby sleep through the night and get on a good nap schedule. I was finally be able to lay her down in her crib at bedtime and listen to her sweet coos before she drifted off to sleep. I was so happy that my baby had learned to fall asleep in such a loving and supportive way. I was finally getting eight hours of uninterrupted hours of sleep at night. I woke up in the mornings feeling like a million dollars. I woke feeling rested and my daughter was happily playing in her crib when I came to get her up for the day. I had learned when she needed a nap and what to do when it was time for get her to bed at night. I felt empowered to have found a solution that fit my family and my way of parenting. As the weeks of great sleep continued, I started to realize how unhappy I was in my corporate job. Not for the job itself, but that I was spending so little time with my sweet baby after picking her up from daycare before it was bedtime. 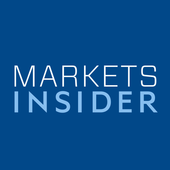 It was the main reason that I decided to leave my 60 hour per week corporate job behind. I'd learned that I didn’t have to be a sleep deprived parent and wanted to shout it from the rooftops. I wanted to tell everyone I knew how great it felt to sleep all night! I finally had the motivation and energy to do the things I loved again. And best of all I was proud to say that my daughter was a rock-star sleeper. I would have moms stop me at the coffee shop and ask how ‘good of a sleeper’ she was and I’d happily reply “she sleeps all night”. 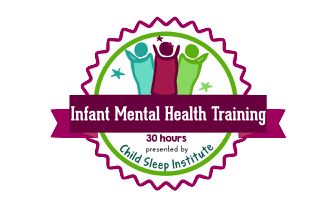 Sleep became my passion and I get to share the importance of a full night of sleep, for both parents and their children. I wanted others to know that just because you’re a parent, doesn’t mean that you have to walk around like a zombie during the day. There’s a way to get the sleep you need using methods you’re comfortable with. I’m proud at what I do, helping families be happier and well rested. Today, I get to work with wonderful families who value the importance of sleep, both for themselves and their children but want the personalized assistance to show them exactly what to do. I love my work as a sleep consultant and I’m able to experience the same joy my clients feel when they tell me “The baby slept through the night.” It’s magical and so fulfilling that I get to help make happy families and change their world for the better. I would love to hear from you! 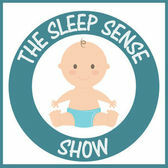 To learn more about how I can help you get the sleep you need and follow your parenting style, check out my Sleep Services or ​Connect with me.